Rabbi Jacob Fine is the Founder and Director of Abundance Farm. For the past 15 years Jacob has worked and taught in the field of Jewish environmental and agricultural education. He has served as a rabbi and educator for a number of leading Jewish environmental organizations including the Teva Learning Alliance, Adamah, Hazon and, most recently, the Jewish Farm School, where he served as the Director of Programs (2011-2013) and now serves on its Board of Directors. A Wexner Graduate Fellow and former Rabbi and Assistant Director at Hillel at the University of Washington (2007-2011), Jacob was ordained as a rabbi from the Ziegler School of Rabbinic Studies in Los Angeles where he also received a M.A. in Rabbinic Studies. Jacob is also a graduate of Vassar College where he received a B.A. in environmental studies and religion. Jacob has authored widely used curriculum including "Jewish Food Rules: Principles of a Contemporary Jewish Food Ethic," and teaches widely on issues related to Judaism, ecology and food justice. Jacob can be reached at rabbijacob@abundancefarm.org or 413-584-3593 x203. Tory Field serves as the Farm Manager for Abundance Farm. 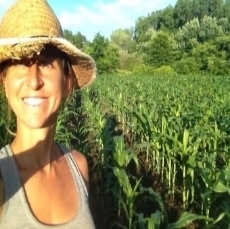 Tory is a co-founder of Next Barn Over Farm, a 30-acre vegetable CSA farm in Hadley and also raises grain corn and medicinal herbs on her own small farm. Tory also works with the organization Other Worlds writing about food and agricultural movements happening around the world and is on the board of Gardening the Community, a Springfield organization focused on urban agriculture, youth empowerment and food justice. Tory can be reached at tory@abundancefarm.org. Grace Oedel serves as the Teen Program Director for Abundance Farm. She is passionate about exploring the intersection of spirituality, experiential education, and place-based agriculture with young people. Grace graduated from Yale University where she received a degree in Religion and the Environment. She has farm managed at the Yale Sustainable Food Project, taught Peace Studies, farming, and permaculture at the Woolman Semester, and done advocacy work at the Maine Organic Farmers and Gardeners Association. Grace is co-founder of Dig In Farm, an educational permaculture farm that runs land-based programs for youth in Shutesbury, MA. Grace can be reached at grace@abundancefarm.org. 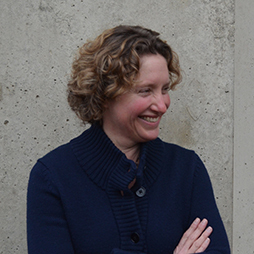 Caryn Brause AIA LEED AP is the principal of SITELAB Architecture + Design in Northampton. The practice is a laboratory for investigating the broad context of the “site” through client-driven projects, theoretical investigations, and community collaborations. Design work examines the transformation and reuse of that which we have in abundance including existing building stock, underutilized urban and suburban landscapes, and repurposed materials. In addition to her professional work, she is an Assistant Professor in the Architecture + Design Program at the University of Massachusetts, Amherst where she leads design studios and teaches digital design, communication, and fabrication. Caryn is a member of CBI and a parent of two LGA students. She looks forward to working and celebrating together on the Farm. Caryn can be reached at cjbrause@yahoo.com. Nili Simhai serves as the Director of Outdoor Education for the Farm. Nili served as the Director of TEVA, the country's leading Jewish environmental education organization, for fourteen years. A recipient of the Covenant Award for excellence in Jewish education, Nili has been recognized for her leadership in training and counseling hundreds of educators in the tenets of Jewish environmental education. One of her current passions is outdoor classrooms in Jewish institutions. Nili can be reached at nili@abundancefarm.org. Larry Fine is interested in the intersection of food and religious cultures, and has taught courses on this subject at Mount Holyoke, where he is a professor of Jewish Studies and Religion. He is also facilitates the Food Studies program at Mount Holyoke. More personally, he's convinced that informal and experiential education are critical for the rejuvenation of Jewish education at all levels. He's certain that Abundance Farm will prove to be an exceptional example of this approach, enriching each of its participating communities in truly important ways. Adam Garretson was first exposed to gardening at the age of two, learning to eat carrots by pulling them from the ground, rubbing the dirt off and eating them in the field. Now, as a local family physician, he frequently sees the health effects of diet and the challenges to accessing fresh, affordable, healthful food. Adam lives and gardens year-round in Northampton with his wife Stephanie and two children. He is grateful for the opportunity to help improve the health of the community, teach his own children to grow food and share it with others, and play in the dirt. Jennifer Hoffman is from Brooklyn, New York and is proud of her Italian-Jewish heritage. She is married to Brian Hoffman, MD and has a wonderful daughter, Elizabeth, 5 years old. Most people who meet Jennifer would instantly notice her Brooklyn accent as well as her bubbly, and welcoming personality. Professionally, Jennifer has worked within the healthcare community for over 17 years specializing in diagnostic imaging of the cardiovascular system as well as managing vascular laboratories. Jennifer has encountered many different types of people while working in the hospital setting. Most of her patients were poor, uneducated people who needed someone to listen and someone to help. Currently, Jennifer is very active in Congregation B’nai Israel and volunteers at the Northampton Survival Center; and has grown passionate about feeding the hungry and disadvantaged. This year Jennifer began to take Graduate courses in Public Health at the University of Massachusetts so she can have the educational backbone needed to help further her goals to make sure no one is hungry in her community. Danielle Pedelaborde is currently an educational consultant and coach. She holds a masters degree in Multicultural Education from the University of Massachusetts, Amherst and is a seasoned classroom teacher, tutor, administrator, and facilitator. Her passion for social justice informs her practice as an educator and as a community member and led her to work with a variety of disenfranchised student groups throughout her career. This includes supporting pregnant and parenting students to complete high school, working with GLBT youth to create safe schools, training school personnel in dating violence intervention and supporting students with behavioral and cognitive disabilities. Her first job out of college, coordinating Boston City Hospital’s food pantry, taught her much about food insecurity and has made her passionate about the issue. She brings her creativity in events planning and her love of playing to her role on the fund raising committee. She looks forward to the point when the farm will need less fund raising and she can put back on her educator hat to think about the power of the outdoor classroom being created as we grow together. She is a former Survival Center volunteer and the parent of an LGA student. Gillian Murray Kendall has been a member of Congregation B’nai Israel for over 25 years. She has served on various committees, is on the Board, has acted as Secretary and is now Vice President of the synagogue. For her day job, Gillian is a professor of English literature and language at Smith College, where she specializes in Renaissance literature and teaches Shakespeare, 17th Poetry—and the modern post-apocalyptic novel. In June of 2014, her own post-apocalyptic novel, The Garden of Darkness, will be published. Gillian likes all gardens, dark and light, and has an inordinate fondness for farms. Kristin Rotas is the mother of two beautiful children who currently attend the Lander-Grinspoon Academy. She is a graduate of Clark University where she earned a BA in Psychology, and she is a graduate of Simon’s College where she earned a MA in Teaching. Kristin has 7 years of teaching experience both in the United States and overseas. Kristin has lived and taught in Harare, Zimbabwe and in Budapest, Hungary. Currently, Kristin is writing a job readiness curriculum for unemployed adults, as well as conducting research for an NYU study of the Tools Of The Mind Curriculum. She is thrilled to be a part of the Abundance Farm Leadership Team. Joe Bacal grew up in Amherst, and lives in Northampton with his wife and two children. Before moving back to the area, he taught fourth grade at Bank Street School for Children in New York City, where he earned his MSEd. Since moving back to the valley almost a decade ago, he's earned a degree in school counseling and worked as a school counselor and teacher in local public schools. Presently, he divides his time between technology education and web development. He's thrilled to have the chance to learn how to plant some food and see it grow. Sara Weinberger is Professor Emerita of Social Work at Western New England University. Since leaving her job in 2012, she has become active in a variety of social justice activities, including the CBI Tikkun Olam Committee, and other local organizationsShe has a strong interest in food justice and writes a monthly column for The Daily Hampshire Gazette that focuses on human rights.